General Motors announced yesterday that they have fully repaid their government loan plus interest, five years ahead of schedule. Although GM has has a lot of work ahead to get back on track, it seems like they are making steps in the right direction. I guess time will tell just how much they’ve learned from their past mistakes. “I think the government and us — the taxpayers — made a terrific investment and I think it’s going to pay off big time,” said Whitacre, who later Wednesday chartered a plane to Washington, D.C., to meet with government officials. He revealed new investments for factories in Detroit and Kansas City and said the company’s first-quarter results, due in May, are impressive. He also said the highly anticipated Chevrolet Volt electric car would be released in October ahead of an expected November release. Following GM’s announcement today that it has repaid the $5.8 billion in U.S. and Canadian loans months ahead of schedule, you may be wondering how exactly the automaker managed this. The answer is a $16.4 billion escrow account set up by the Obama administration during GM’s bankruptcy. Those funds are in exchange for the GM shares that make up part of the government’s stake in the company. The Treasury Department had to figure out how much of a cushion the company would need after emerging from bankruptcy. The escrow account was set up when the government bought a 61% stake in the company, but there was a string attached: GM had to get the Treasury Department’s OK before spending the money. Thus far, it used the fund to pay out $2.7 billion for the Delphi bankruptcy resolution and previous loan repayments. Rules required any money left in the account by June 30 to be used for loan repayment. With the loans fully repaid, restrictions on the escrow fund will be lifted and GM will be allowed add the remaining $5.5 billion to its reserves. Essentially, GM no longer needs emergency government aid to stay afloat. While the taxpayer still has a sizable investment wrapped up in the automaker, GM has returned to decent health for the time being. Here’s a little corrective perspective. According to the Congressional Budget Office, the government invested $48 billion in General Motors Company. Of that, $7 billion is in loans, and the rest in preferred and common stock. (It also invested $17 billion in GMAC, an affiliated company that is important for financing GM car purchases). U.S. taxpayers got a 60.8 percent stake in the post-bankruptcy GM and a 56.3 percent stake in GMAC. So was this a good investment? The government was motivated by far more than pure financial return; it was worried about the systemic damage a liquidation of GM might cause. Even from a purely financial perspective, final tallies cannot occur until the government’s stake in GM has been sold. One recent analysis by Andrew Bary in Barron’s speculated that GM might go public this year with a valuation of $50 billion, giving the taxpayer stake a value of roughly $30 billion. If we assume that the payment in the news today clears the loan portion (Whitacre is claiming to repay all loans with interest), that leaves $41 billion invested. If the taxpayer recoups $30 billion in a privatization, that leaves them $11 billion light. So, in this rosy scenario, even after full loan repayment, the taxpayer comes out about $11 billion short on GM alone (plus a normal return on holding $50 billion for a year). Where did that money go? Bary elaborates that in this scenario, the United Auto Workers would get $16 billion. Normally, as unsecured creditors, the UAW would have gotten nothing until senior creditors, including the U.S. taxpayer, were repaid in full. These are not normal times. Paying off loans with interest? So capitalist. Why doesn’t GM just name their next hemp-powered car the Obamamobile in tribute? Look, Obama should be crowing — but let’s not forget where all this “socialism” started. Someone needs to forward this to the loons at FireDogLake. Government Motors repaid 8 billion of bailout money back to the US government this week. They were awarded a total of $52 billion in bailouts from the US. In a letter to Treasury Secretary Tim Geithner, Sen. Charles Grassley of Iowa fumes that the source of the funds for the $4.7 billion repayment is not GM earnings, but rather a Treasury escrow account. He chides the company and the administration for suggesting in recent statements that the money is coming from GM earnings. Grassley writes that GM’s early repayment of the federal loan is aimed at diverting attention from another uncomfortable issue – the big break the car company would get on a proposed tax to recoup TARP losses. GM is expected to generate some of the biggest losses in the TARP program, but it won’t have to pay any money under the so-called TARP tax the Obama administration wants to impose on large financial institutions. Treasury and GM officials don’t dispute that the money to repay the loan is coming from TARP funds. But they said that’s been clearly disclosed. Barofsky told the Senate Finance Committee the same thing Tuesday, and said the main way for the federal government to earn money out of GM would be through “a liquidation of its ownership interest.” Senator Grassley comments here; Ed Morrissey has more. Remember: Whitacre is the chairman and chief executive officer of GM. He isn’t some salesman peddling the goods (though he is doing that as well) with an allowance for puffing. If Whitacre’s column were subject to the securities laws, Whitacre would be guilty of fraud. Or so it appears to me. And finally, of course, most of the bailout money was transferred to GM in return for a 60 percent stake in the company. And the taxpayers will get that money back if and when GM becomes a publicly traded company again, provided that the company’s market capitalization is eventually higher than it’s ever been in history. Don’t hold your breath. 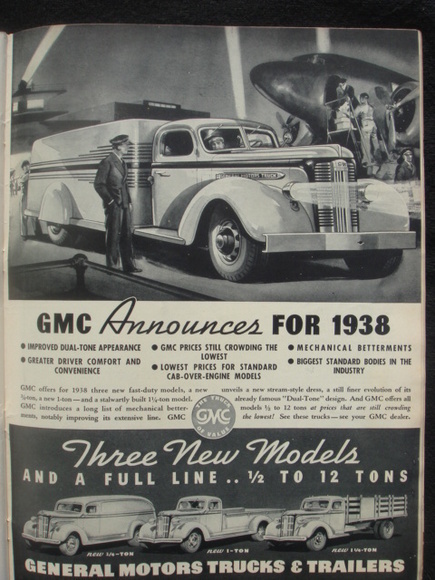 These are called GM ads, but they could just as well be called BS ads.